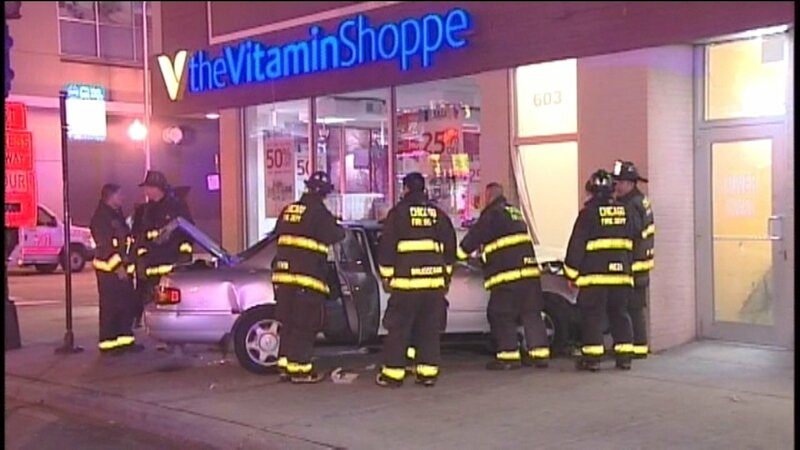 CHICAGO (WLS) -- Six people were injured after their car crashed into a building on Chicago's South Loop neighborhood. Police said a Toyota Camry was traveling the wrong way on Jefferson Street when it entered the intersection at Roosevelt Road and collided with a city tow truck at about 3:30 a.m., police said. The impact caused the vehicle to carom into a building on the 600-block of West Roosevelt. Four men and two women, ages 18 to 22, were in the car. They were transported to hospitals with non-life threatening injuries. The driver of the truck they collided with was not hurt.